The Kyrie 1 is seen everywhere in the NBA, and it is now releasing in a nice new colorway! The shoe features a black fuse upper, with blue and white accenting to set the shoe off. The colorway compliments the model very nicely, and I have a feeling these will be seen on many people’s feet. 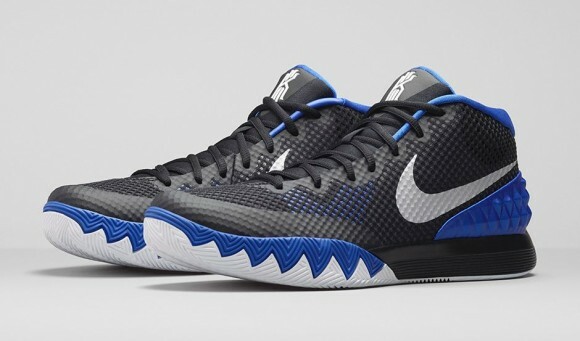 With its good performance, and its low price point, the Kyrie 1 is a shoe to beat! If you are interested in dropping $110 this nice colorway of the shoe, then click the links below to take you to the page. They will be available on Saturday, March 21. Let us know your thoughts of the shoe!